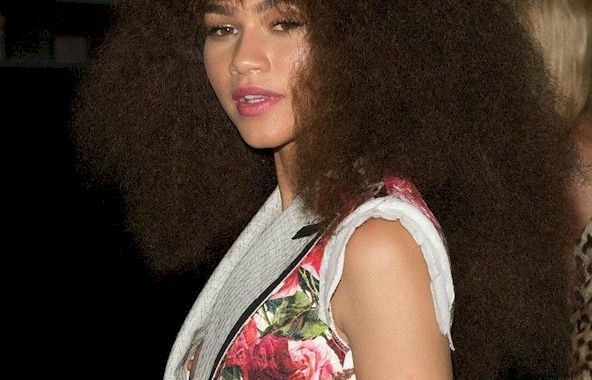 Zendaya Coleman Slight See Through at the MET Gala After-Party! Zendaya Coleman is a Leggy Butterfly! Zendaya Coleman walked the red carpet premiere of at the The Greatest Showman in a butterfly dress and with a lot of leg on display! Zendaya Coleman is Leggy at Spider-Man Premiere! Zendaya Coleman wore a pink dress and showed off a lot of leg at the premiere of Spider-Man: Homecoming last night! She’s so skinny. Zendaya Coleman Braless Outside Good Morning America Studios!